American Disposal Service (also known as A.D.S.) 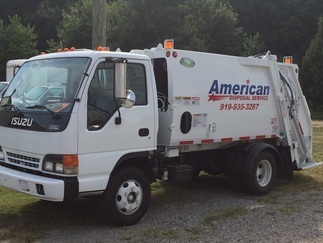 is a residential curbside collection company located in Harnett County, NC. The company was started in 2012 as a solution to my own obstacle of finding affordable and reliable service in the area. When ADS began, I committed to starting a business that would offer a valuable service to my community... and despite the growth ADS of NC has experienced, I am still committed to maintaining a reliable, quality service at an affordable rate! Give me a call today at 919-935-3267 and let me know how I can help you! TJ Kellam, Owner of A.D.S.